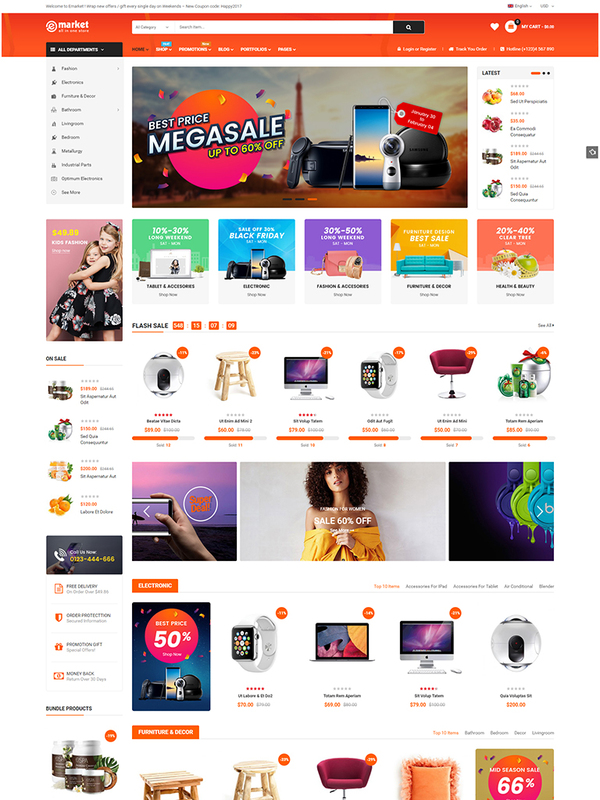 eMarket – Best-Selling WooCommerce Theme for your Multi-Vendors MarketPlace WordPress Site! 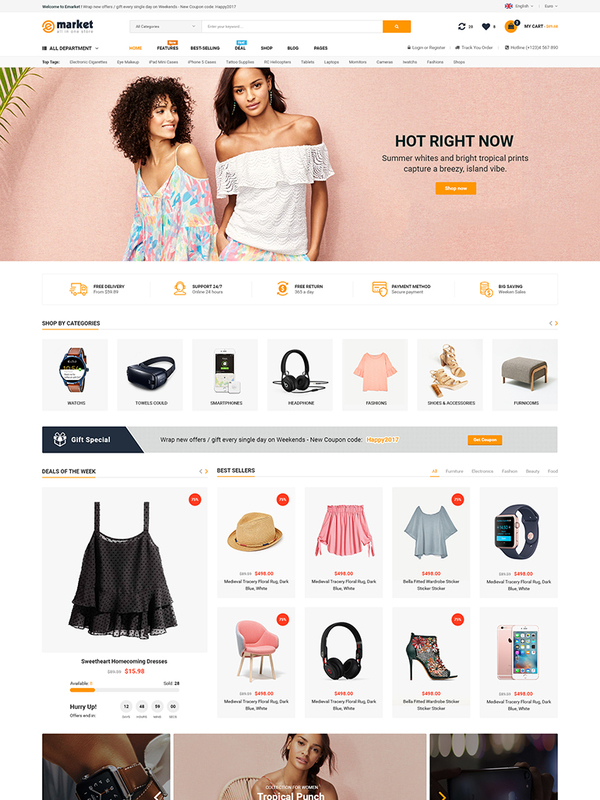 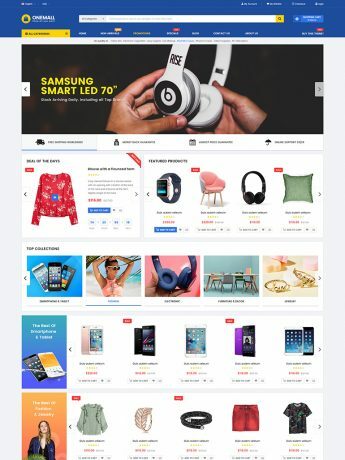 eMarket is a modern and multi-functional eCommerce WordPress theme that allows you to build a professional ecommerce site quickly and easily. 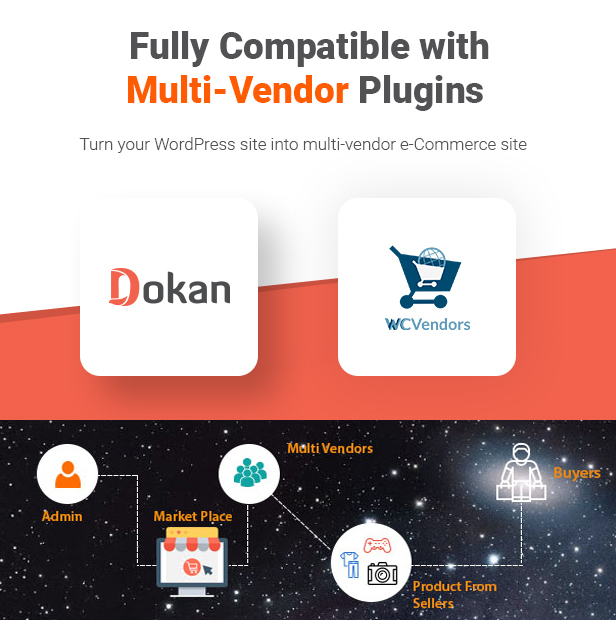 eMarket is powered by entirely by WordPress, WooCommerce and deeply compatible with multi-vendor and marketplace plugins like WC Vendors, Dokan Plugin that helps you create multi-vendor sites with ease. 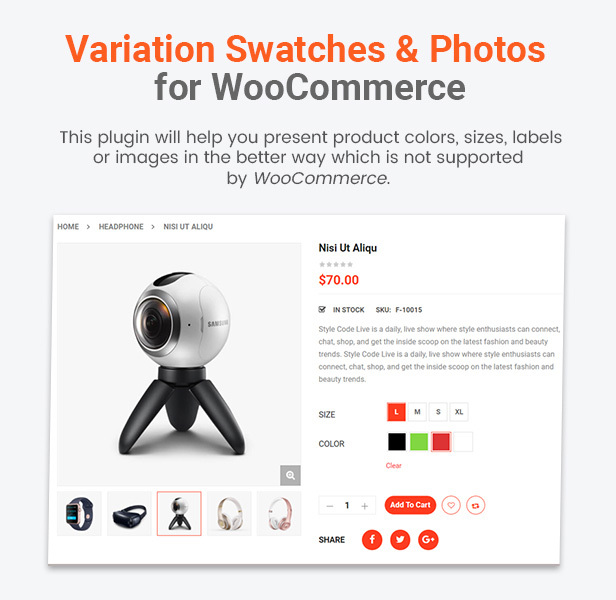 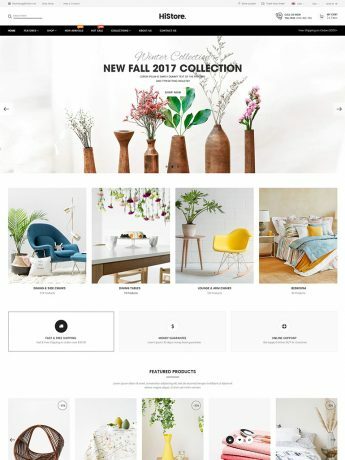 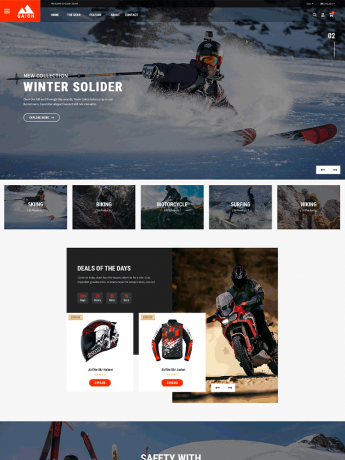 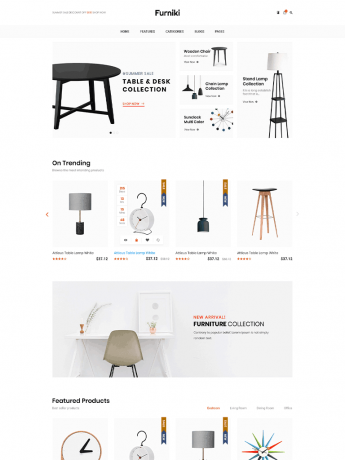 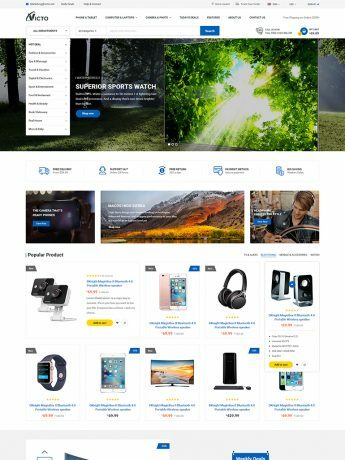 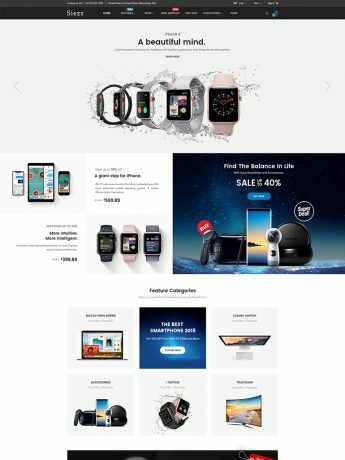 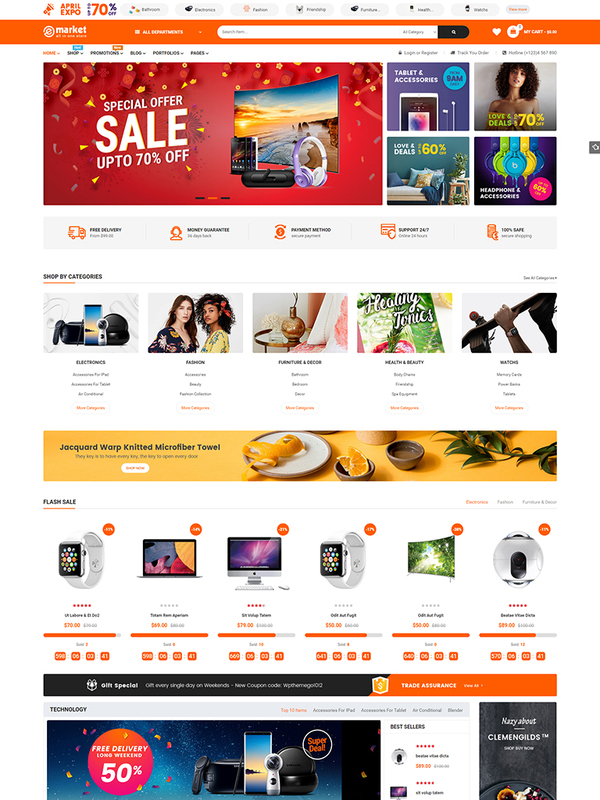 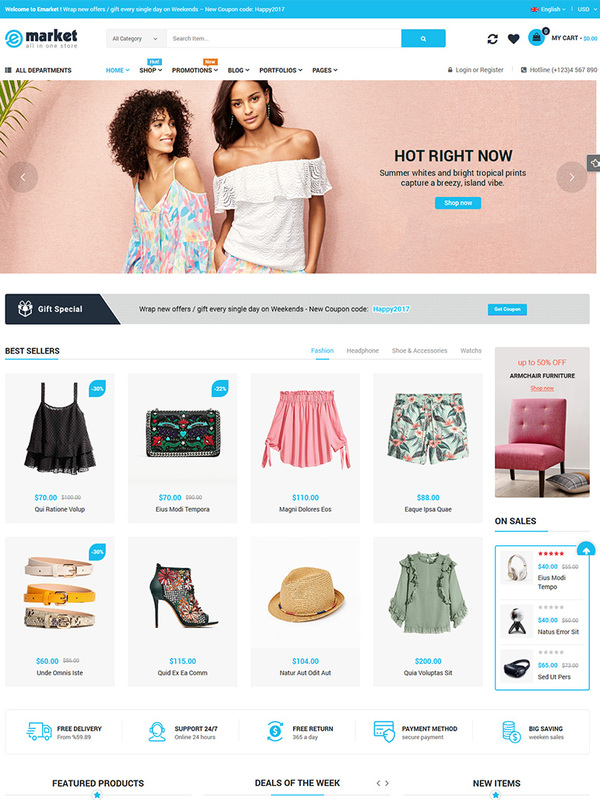 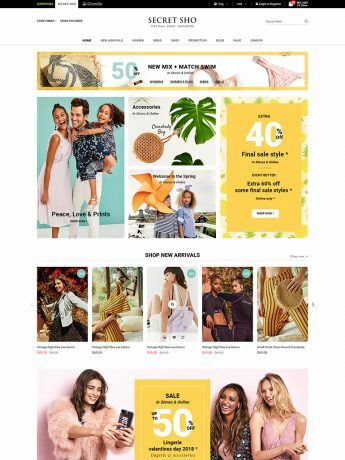 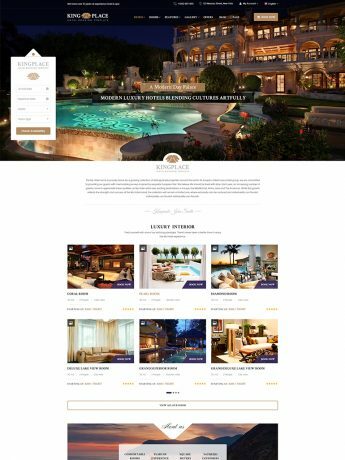 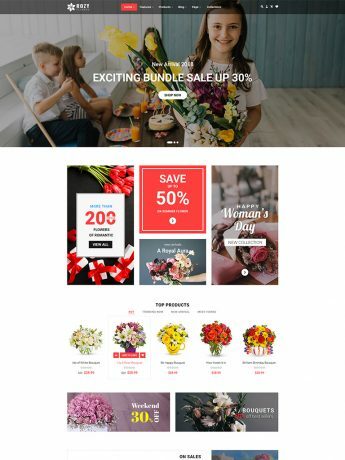 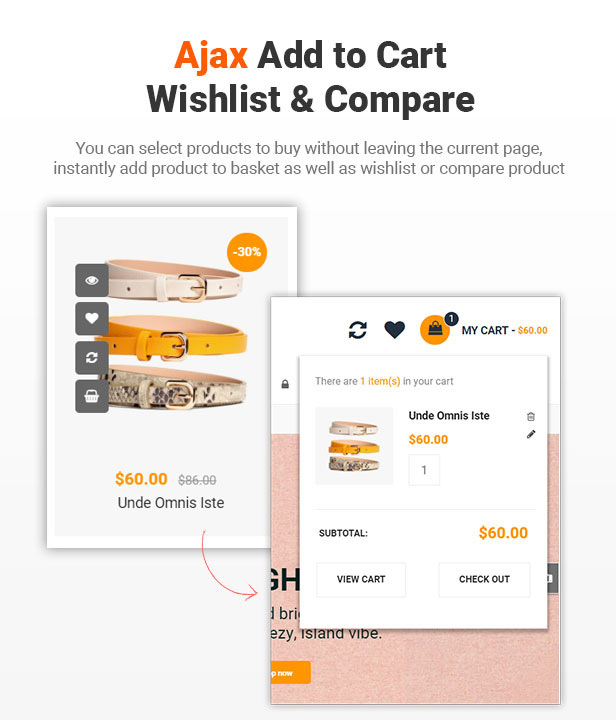 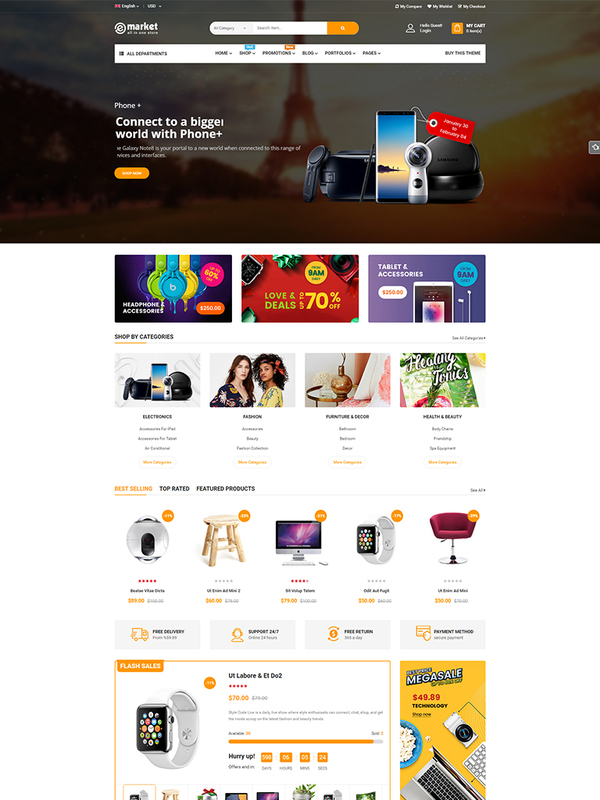 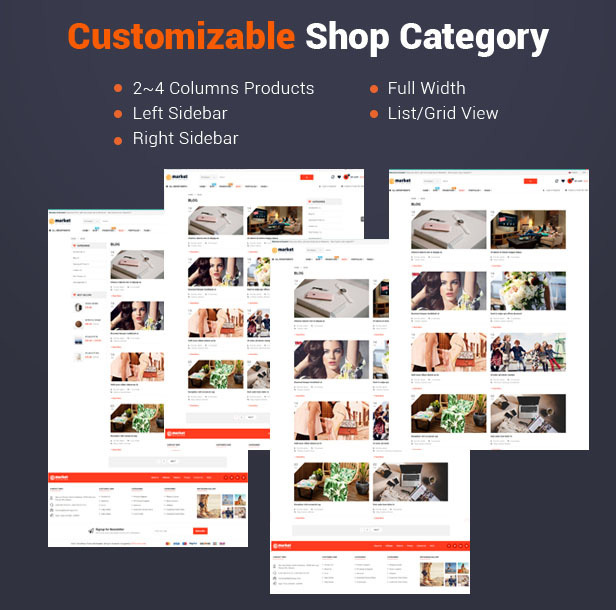 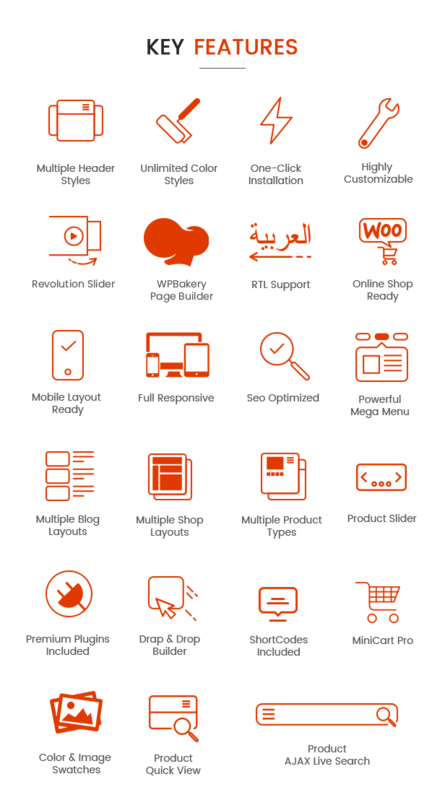 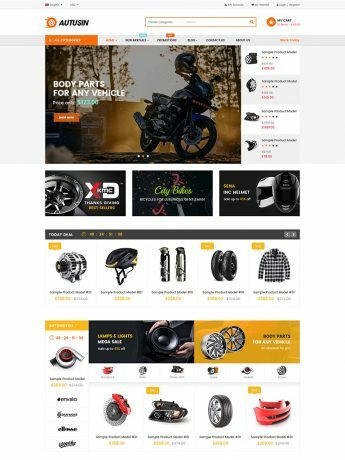 The premium theme comes with 7+ homepage designs, mobile layouts ready and lots cool eCommerce features such as visual page builder, revolution slider, ajax cart/wishlist/compare, quick view light box, ajax quick search, product image zoom/gallery, video thumbnail gallery for product, variation swatch and image for WooCommerce, social login and more. 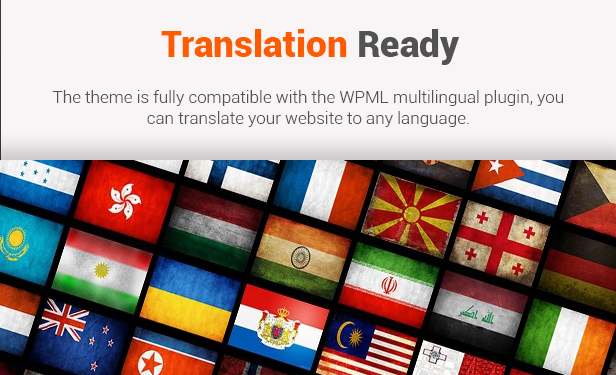 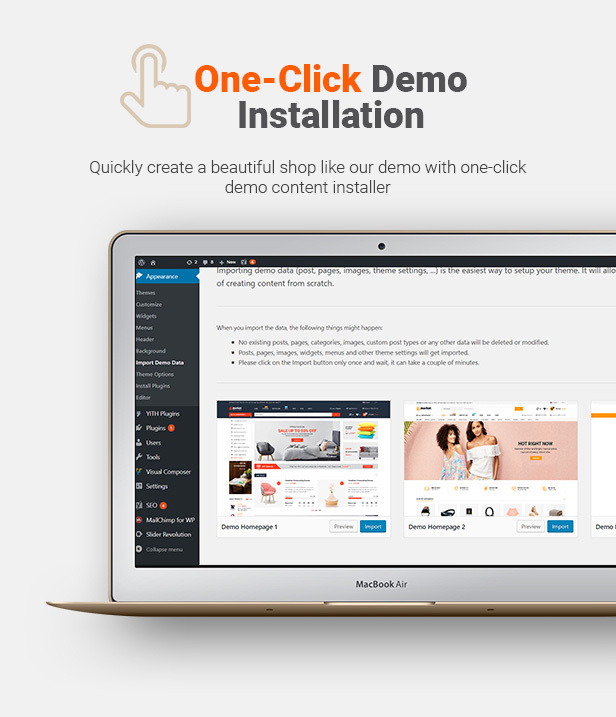 Especially, with One-Click-Installation, it enables you to easily install your site in a few clicks. 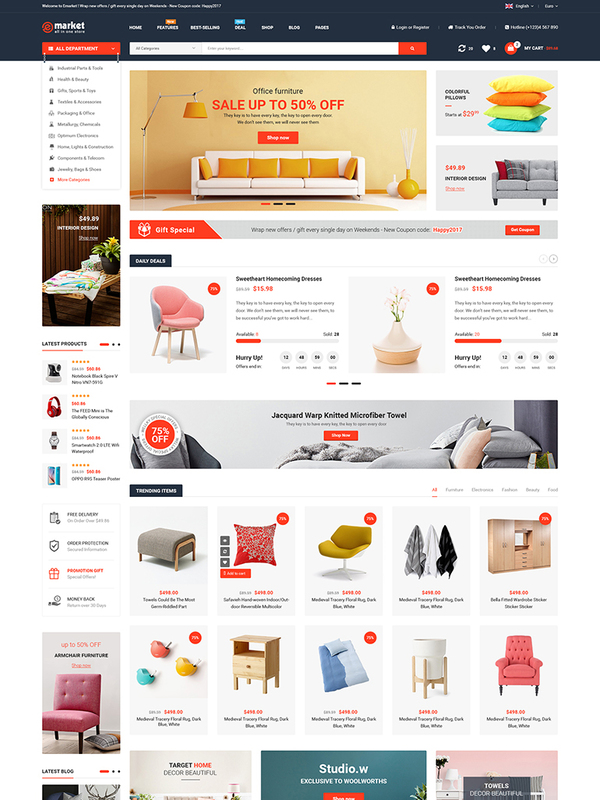 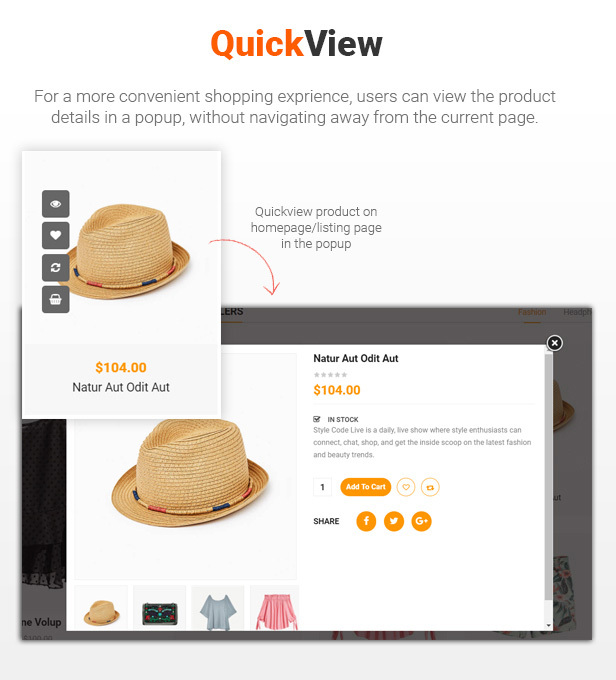 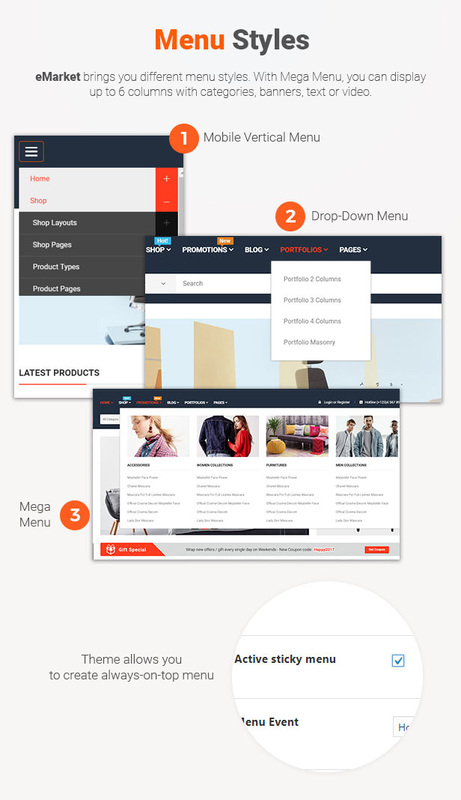 eMarket is built as a multi-homepage WooCommerce WordPress Theme. 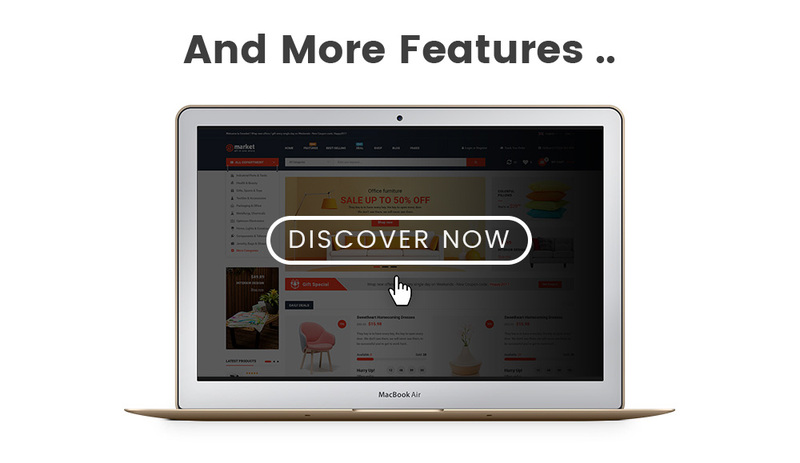 More new homepages and features will be added soon. 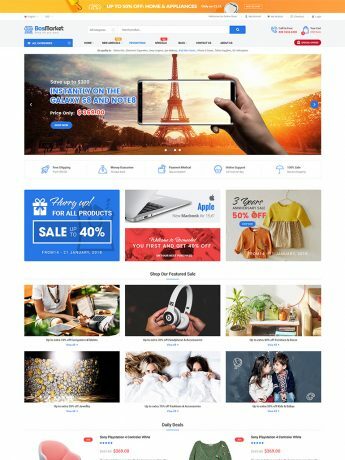 Buy the theme today, and you will get all updates in the furture! 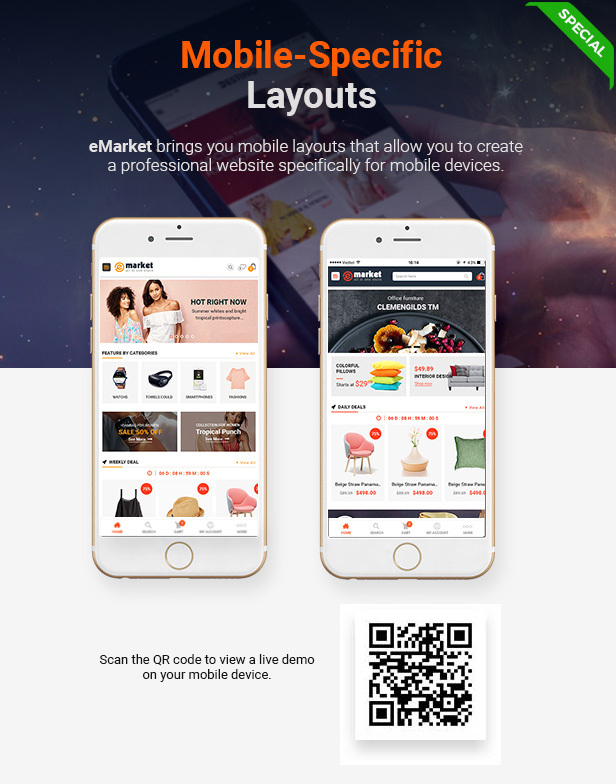 eMarket is completely compatible with WC Vendor and Dokan Plugins – Best Plugins can help you turns your site into multi-vendor eCommerce site.